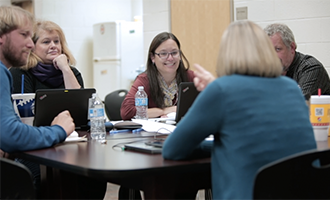 Some of our favorite stories from across the WeVideo education community involve surprise meetings of minds; the second grade teacher inspiring the university professor, or the graduate student launching a research project after seeing the digital story of a middle school student. We lead this month’s issue with two higher education stories from Professor Bernard Robin and Dr. Shane Jenks, each revealing and thought-provoking for anyone in education at any grade level. Read on as we highlight exclusive new features made possible through WeVideo’s partnership with Microsoft. We’ll share details of our updated Getting Started guide for teachers. And, for those just jumping into digital storytelling, we have a very special extra discount available for a limited time. Long before a smartphone in every pocket and a laptop on every desk put incredible tools in reach of most educators, Professor Bernard Robin of the University of Houston recognized the potential power of digital storytelling. In this revealing piece, Professor Robin shares his secrets for “setting the table” for students and explains how a simple image can be a catalyst for helping any student unlock the rich narratives hiding in plain sight. 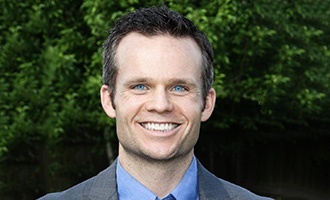 Dr. Shane Jenks, of Baylor College of Medicine, not only treats dozens of patients each day, he is also responsible for all the non-clinical teaching of the college’s medical residents. In our conversation with him, Dr. Jenks shares how digital storytelling can help students overcome the fatigue of traditional lectures and break down barriers for students eager to see classroom learning presented as real-life action. He also explains how digital storytelling can help students and professionals deal with everyday stress as well as life altering events such as his staff’s recent encounter with Hurricane Harvey. If you’ve been waiting for the best time to bring digital storytelling to your classroom, now is it! 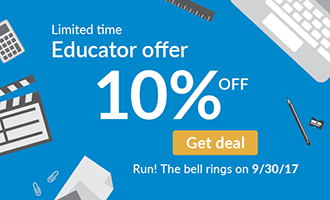 Through September 30th, 2017, new subscribers can take an additional 10% off any new WeVideo for Schools Education plan. Every plan includes our great video editing and effects features, cloud storage, screencasting, green screen, voice-over, advanced security and privacy, zero installation flexibility across all your devices, and so much more. When WeVideo teamed up with Microsoft at ISTE 2017 for the launch of the new Microsoft Education Apps Store, we promised more new features taking advantage of the latest Microsoft technologies would be coming down the pipe. 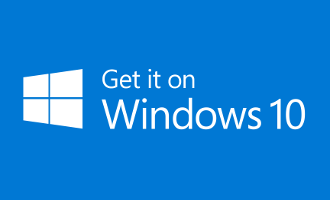 We are proud to announce two MIcrosoft exclusive features now included in WeVideo’s Windows 10 app. A special version of WeVideo JumpStart™ that uploads your media to WeVideo’s centralized cloud storage, even when the WeVideo app is closed. The WeVideo app now also takes full advantage of Microsoft’s advanced notification features with pop-up notifications and badges that appear on the WeVideo desktop app icon to let you know when projects have finished rendering. Having the best and easiest-to-use cloud-based video editing tools available is a great start for anyone who wants to bring digital storytelling to their classroom. But we know that’s not enough. You need the confidence to use them. Now, in addition to amazing online resources like the WeVideo Academy and our Resources for Educators, WeVideo has developed a complete curriculum ready to be delivered to your school or district by professional trainers. Get the details and talk to us about your requirements. Updated Getting Started Guide for Educators: We recently updated our popular Getting Started Guide for Teachers. If you are new to WeVideo and are eager for guidance as you bring digital storytelling to your classroom, be sure to view the latest version. Upcoming Events: Visit our Events page to find out where you can meet the WeVideo team. Academy Videos: Check out our newest WeVideo Academy video showcasing how to add Motion Titles to your video edits. Other new Academy videos include Multi-select and Transitions and Adjusting Audio Levels. If you want to read more about Motion Titles, one of our most enthusiastically received features ever, read this blog post and this press release. Additional Resources: You’ll always find inspiration on our growing Resources for Educators page, and engaging dialogue with peers through the WeVideo Google G+ community for Educators.